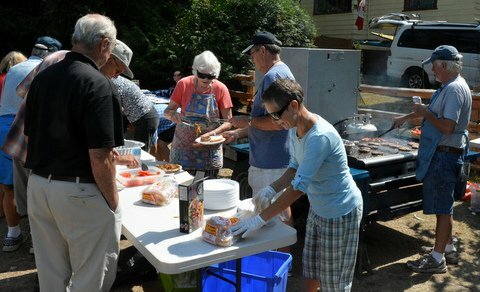 Mayne Island Lions cooking burgers and hot dogs. The Agricultural Society's Annual Fall Fair was another great success. Perfect weather, a colourful parade, music, games including the Lions Bingo, and burgers and hot dogs cooked by the Mayne Island Lions Club. Thank you to all of the Lions who were able to help setup, cook, help at Bingo, and take down.